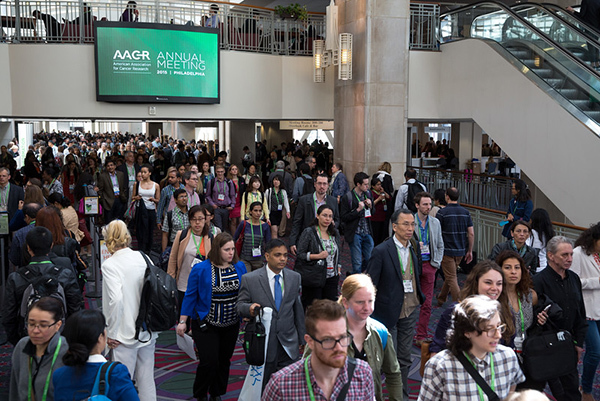 This year, at the AACR Annual Meeting held in Philadelphia April 18 to 22, an astounding 19,300 members of the cancer research community shared their exciting research findings, heard from leading experts in the field, and networked with fellow scientists to explore areas of collaborative research. As discussed in an earlier post on this blog, the AACR Annual Meeting has been and continues to be a “must-attend” event for cancer researchers and advocates as it showcases a spectrum of clinical and translational research that provides hope for the more than 14 million patients and families dealing with this dreadful disease worldwide. A highlight of this year’s annual meeting was the presentation of promising, potentially practice-changing clinical trial data of immunotherapies, targeted therapies, and combination therapies, among others. The Clinical Trials Committee, which serves to identify and recruit clinical trials for presentation during the Annual Meeting, was co-chaired this year by Johann de Bono, MBBS, PhD, professor of experimental cancer medicine at The Institute of Cancer Research and an honorary consultant in medical oncology at The Royal Marsden NHS Foundation Trust in London, United Kingdom; and Patricia LoRusso, DO, professor of medicine and associate director of innovative medicine at Yale Cancer Center, in New Haven, Connecticut. We asked de Bono to share his thoughts on the planning, execution, and success of this year’s clinical trials program at the meeting. “The clinical program at this year’s Annual Meeting was arguably the strongest we’ve ever had at the AACR,” de Bono said. In our earlier posts, we highlighted some of the clinical trials presented at the meeting that showcased promising advances made in immunotherapy, immunotherapy combinations, and targeted therapy combinations. To highlight a few, in a phase III clinical trial, KEYNOTE-006, two FDA-approved immunotherapeutics were compared head-to-head as first-line therapy for patients with advanced melanoma. In this trial, pembrolizumab (Keytruda) was found to yield significantly better treatment outcomes than ipilimumab (Yervoy) for all endpoints studied. Pembrolizumab was also found to be safe and yielded durable responses in patients with advanced non-small cell lung cancer (NSCLC) in another trial, KEYNOTE-001. 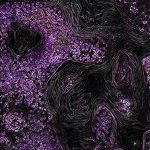 In a phase II clinical trial, CheckMate 069, investigators tested a combination of two immunotherapies, ipilimumab and nivolumab (Opdivo), in patients with advanced melanoma who had received no prior treatment, and found that this combination yielded better treatment responses than giving ipilimumab alone. A number of clinical trials testing targeted therapies individually or as combinations were also presented. The PARP inhibitor olaparib (Lynparza), for example, was found to provide promising responses as monotherapy in a phase II TOPARP trial in men with advanced, castration-resistant prostate cancer. Olaparib was also tested in combination with a PI3-kinase inhibitor in phase I trial in women with advanced triple-negative breast cancer or high-grade, refractory ovarian cancer, with hopeful results. “I think our clinical trials are becoming better, particularly because of our increased understanding of cancer biology, with advances in genomic analysis being key to this success,” de Bono said.